The Growing Together campaign will fund the addition of a new, 6,000 square foot chapel and community room where residents can gather to enjoy the dynamic programming available to our community. It will host chapel and prayer services, hold a dedicated fitness studio with equipment, and provide a comfortable space for guest speakers, classes, luncheons, concerts, and much more. 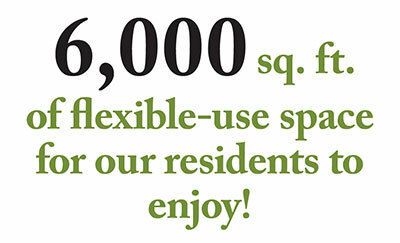 We’re excited about enhancing the community experience for all Peterson Meadows residents! 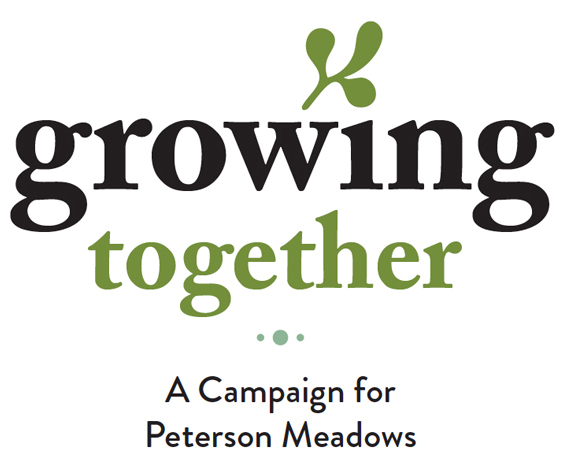 A gift to Peterson Meadows’ Growing Together campaign is an opportunity to help elevate the community we know and love. Numerous giving levels are available including exclusive naming opportunities. 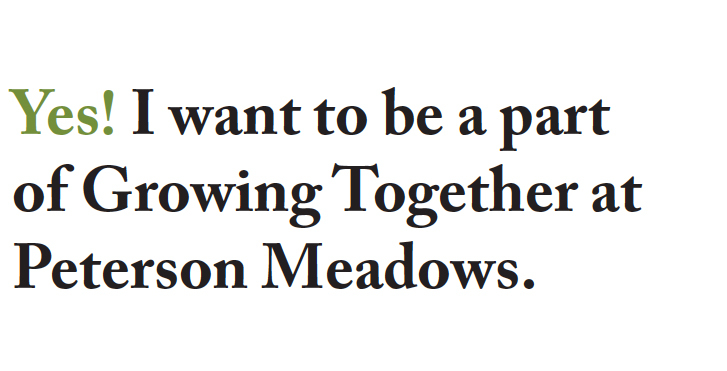 Pledge Your Support Today and Help Peterson Meadows with Our Plans for "Growing Together!" For more information or to make a pledge, please contact the Fund Development department at (815) 316-1543 or giving@wesleywillows.org.